The statistics in this section focus on balance sheets of financial corporations other than monetary financial institutions, which are presented under “Money, credit and banking”. Non-monetary financial institutions comprise financial vehicle corporations (FVCs), investment funds other than money market funds (non-MMF investment funds), insurance corporations and pension funds. FVC balance sheet statistics cover securitised loans originated by MFIs and non-MFIs, securitised assets other than loans, synthetic securitisation and FVC liabilities. Statistics on the balance sheets of non-MMF investment funds are presented by investment policy of the fund and by type of fund (open-end or closed-end). Statistics on insurance corporations and pension funds comprise the main categories in their balance sheets. The ECB regularly publishes lists of MFIs, FVCs and non-MMF investment funds. The data on non-MFIs complement monetary statistics, especially regarding the financing and financial investment of non-financial corporations and households. Statistics on the balance sheets of FVCs, non-MMF investment funds, insurance corporations and pension funds are analysed in the context of financial stability and systemic risks. In addition, the section also covers structural features of the banking industry for all EU countries. MFI - Statistics on EU population of MFIs - stocks & flows at end-month covering: (1) demographic changes (new/deleted MFIs) (2) attribute changes (modifications to locational characteristics) (3) foreign status data (branches). 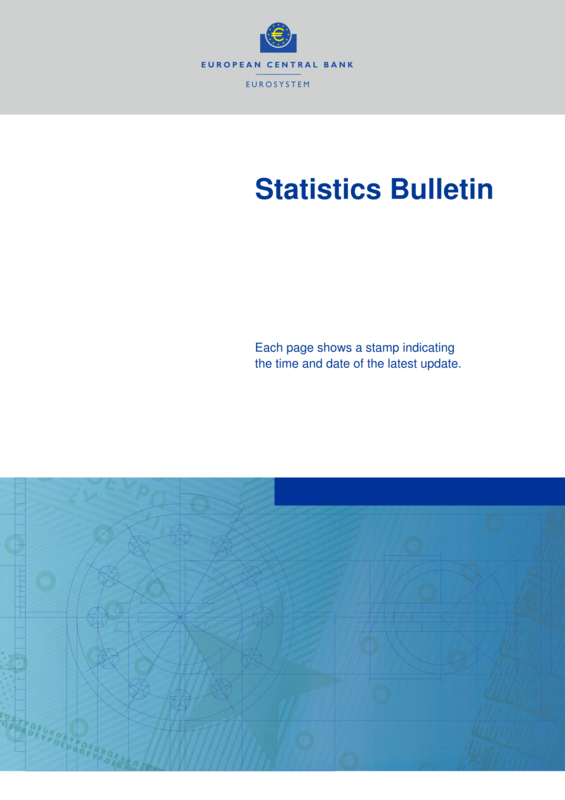 SSI - The SSI statistics currently contain: balance sheet items and indicators of industrial configuration. Below you can find the list of publications and reports where Financial corporations data appear.